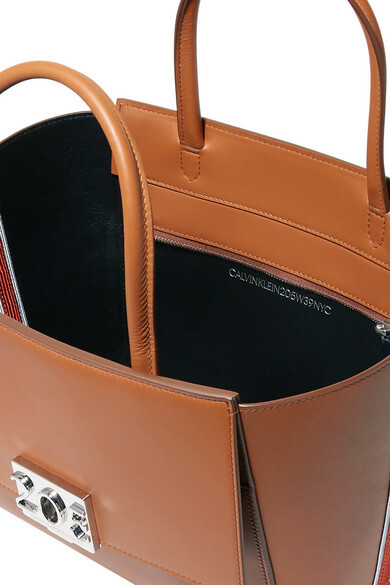 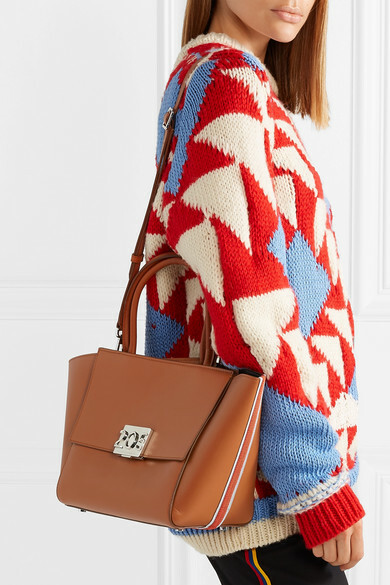 CALVIN KLEIN 205W39NYC's medium 'Bonnie' tote has a trapeze silhouette that feels both fresh and classic. 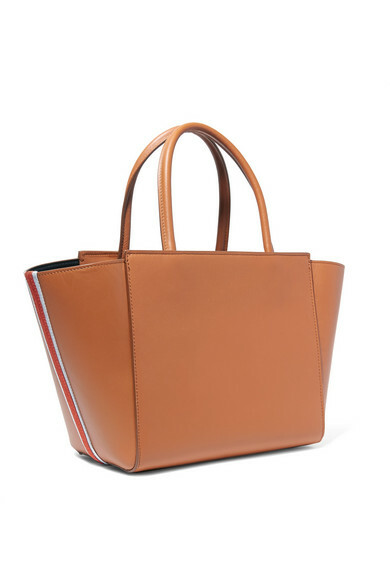 It's been beautifully made in Italy from supple tan leather and trimmed with the label's signature grosgrain striping down the sides. 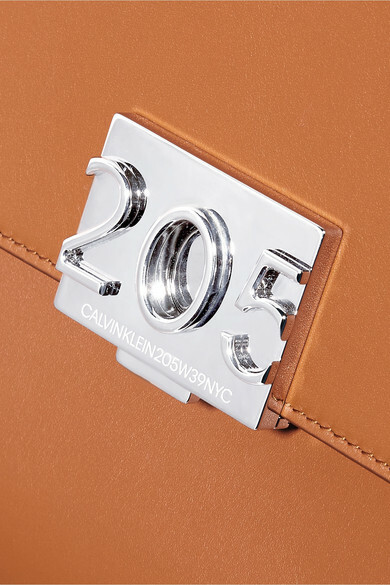 Use the polished '205' push lock plaque to reveal a hidden front pocket, perfect for tucking work files or your tablet inside. 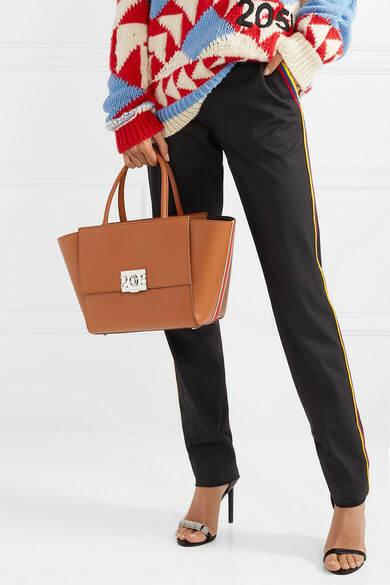 Shown here with: CALVIN KLEIN 205W39NYC Sweater, CALVIN KLEIN 205W39NYC Pants, CALVIN KLEIN 205W39NYC Sandals.